Hello friends ! welcome to CodeExercise and today we are going to share you a very valuable trick for your android device. Today we are going to show you how to secure a rooted android device from security threats. We all need security for everything around us. We feel hesitate to use those things that has not any security. That’s why everything around us need to have security. Every android phone need it’s security. If the phone is rooted then you have to need security for your phone badly. Rooted phone need more security then other phone’s. Rooted Android is an open gateway for security threats towards your android, and if security measures are not adopted, then they can harm your android. So, we are going to discuss here about rooted phone’s threats. this is the most useful and trusted app for your rooted android device. If you have rooted android device, then you gained a complete administrator access. This will secure or protect you like an anti virus. If you have a rooted android phone then you can’t ignore it. 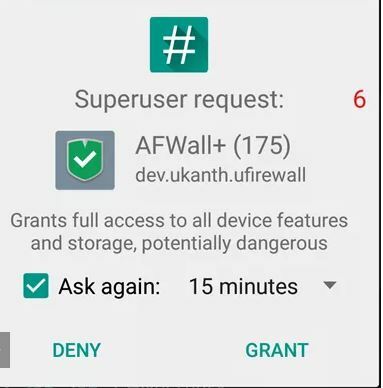 Well, administrator access can be used by apps for advanced functions, but it can also be used by a malicious app for evil things. Therefore, make sure to look for the apps that you are giving root access. If you not interested about that security guard then here presenting world’s most popular app that can help you a lot about your rooted android device. The World’s Most Trusted Android Optimizer, Battery Saver, Free Anti-Virus and Speed Booster app and Clean Master Helps Accelerate and Speed UP your Phones! It provides many thing more that you should know. It Also Provides Real-time Protection With the Antivirus Engine, and Secures Your Private Data With the AppLock Function. Clean Master has some feature’s that you should know if you use it. Before use let’s know about it. Boost your games and apps, free up memory (RAM), speed up your device and save more battery. AppLock can lock Facebook, SMS, Contacts, Gallery, or any other apps you choose. Swipe gives you quick access to other apps and tools without having to go back to your home screen. Battery Saver helps to analyze battery status and hibernate running apps to save power. The junk-creating behavior of millions of apps has been analyzed so that Clean Master can efficiently hone in on its targets (cache and residual files) with perfect accuracy. So, if you want to protect your rooted device then you can use such these type of app that can really help you about your rooted android device. Hope you like it.